After the underwhelming showing at Eat Street Barcelona I wasn't sure what my expectations should be for the Barcelona Beer Festival. I'd gotten my hopes up once and couldn't stand to have Barcelona let me down twice in a row... which is why I am pleased to announce that... 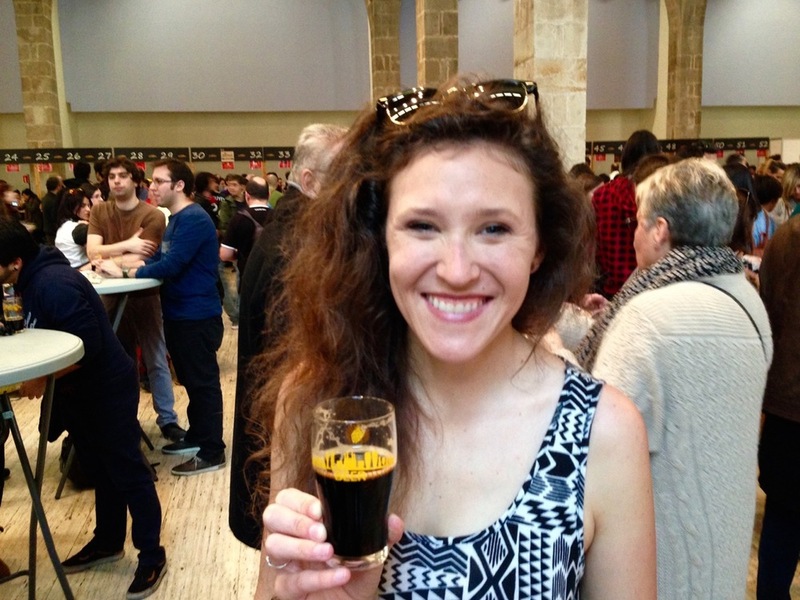 The Barcelona Beer Festival was freaking awesome. My biggest regret is that I waited until Sunday to show up when I could have been enjoying delicious beer all weekend long! There were SO MANY good breweries in attendance! I know my list is skewed to the U.S., but for the time being, it's what I know best. The BBF also brilliantly included “food truck” like eatery options for beer pairings. I hate to compare the showing to my other food truck experience... but their offerings were better! At one end of the gorgeous venue hall there was a huge chalkboard where the current beer selections were listed. As beers were rotated out, the dapper gentlemen on the catwalk would switch up the listings and ring a bell. Visitors could then use their reference booklet to find out more info about each beer and use the tap number as a guide to where each beer was being poured. Which beers were the most bomb? I know this will sounds a little crazy, but the glasses are too big; with a .25L pour it's impossible to try enough. “Professionals” can get smaller glasses and smaller pours (for a smaller per pour fee), but the entrance fee for a professional is 65€. I wish there had been an option to purchase a smaller glass without access to all of the additional seminars/networking events available for professionals so that the layman who wants to try more awesome beer is able. For one second let's talk about bathrooms. No venue that will be roughly attended by 50% women and 50% men should have an equal amount of stall for both genders. I've got more comments here, but I'll keep them to myself. In all, I can't complain. The Barcelona Beer Festival was a pleasant surprise with an incredible selection of beer, an organized layout in a beautiful venue, and all in all, a fantastic experience. I'm looking forward to it already! Hope to meet you at the 2017 6th annual Barcelona Beer Festival :)!